Democratic congressman Beto O’Rourke may still be a long shot to unseat Republican senator Ted Cruz in Texas this November. But his fundraising prowess indicates that, at the least, he’s mounting a seriously formidable challenge. 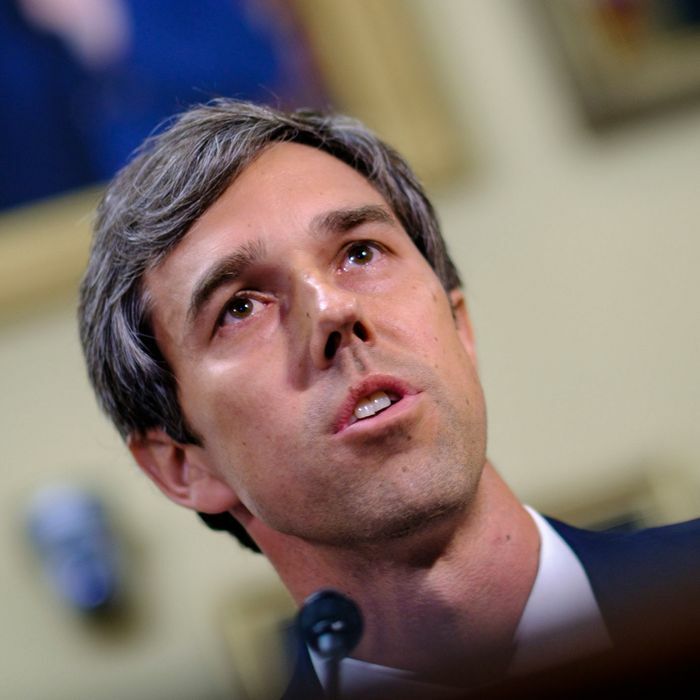 O’Rourke announced on Tuesday that he had raised $6.7 million in the first quarter of 2018 — more, his campaign says, than any Democratic candidate nationwide during that period. Perhaps even more impressive is that O’Rourke, taking a page out of the Bernie Sanders playbook, has sworn off any money from corporate political action committees. His haul was made up entirely of small donations, from more than 141,000 supporters. The new number far surpasses O’Rourke’s previous fundraising numbers at the end of 2017, which had easily bested Cruz’s total during the same period. Still, Cruz had more cash on hand than O’Rourke as of February, by more than a million dollars. The senator has not yet released his first-quarter fundraising numbers. Democrats have long dreamed about turning Texas blue, a goal that seems perennially just out of reach. The state is rapidly diversifying, but it is still decidedly red, and hasn’t elected a Democrat to statewide office since 1994. Racial disparities in voting make the state challenging terrain for liberals. But several factors are working in O’Rourke’s favor. He is a skilled, charismatic campaigner; Democratic enthusiasm looks likely to be off the charts all over the country in 2018; and President Trump is about as unpopular in Texas as he is in America at large. The big question may be just how much Texas voters like Ted Cruz, which at the moment is a question without a definitive answer.